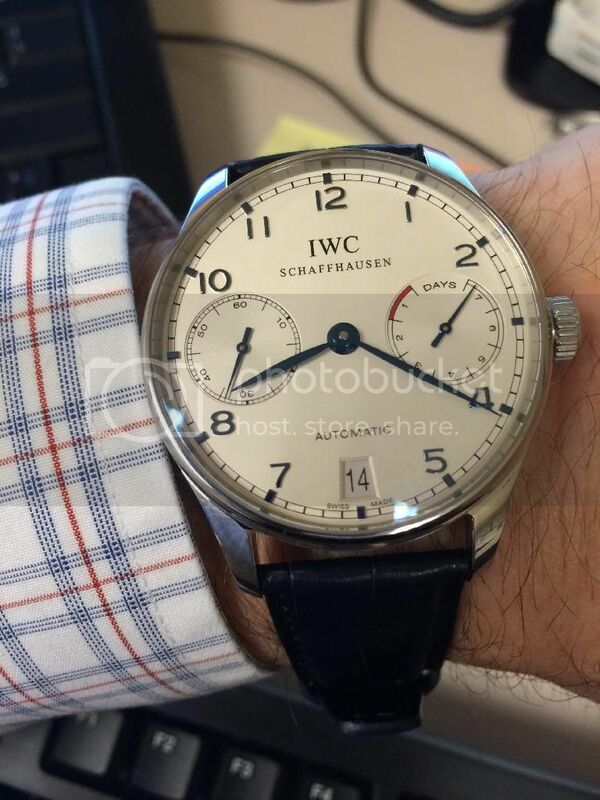 TimeZone : IWC » Santoni or IWC strap? Now that I got my 5001-07, I've been going back and forth on getting a brown strap as well. I love the character of the Santoni strap but also like the simple brown gator strap offered by IWC. If I got the Santoni version, I'd go with the dark brown but I'm just wondering if anyone has any pictures to help make my decision a little easier. And for really no reason at all, another picture of my 5001. Previous Topic: Need advice from my fellow IWC fans!